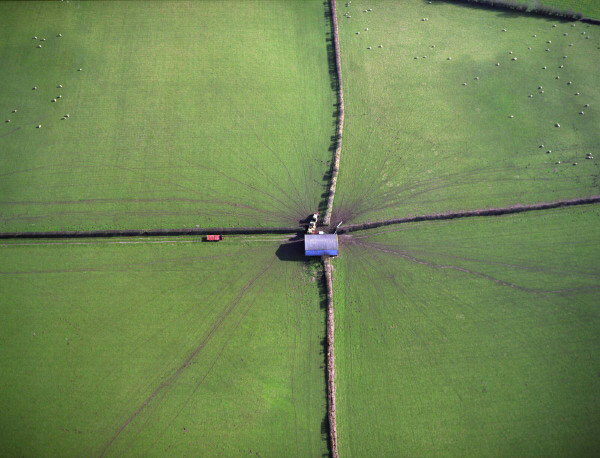 March 2008: Cow trails in the muddy farmland. Just to the West of Painscastle. I looked for this again, and couldn't find it. That's waht's odd and rather lovely about flying in the local arae. You can fly over over a spot twenty times and never notice something, then -hey presto - there it is. But try and find it again. I've spotted ruins from the air, and a windmill, once, but can't find them again.